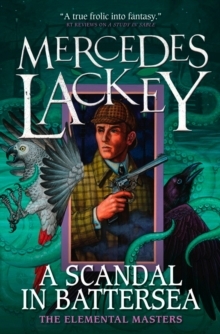 The twelfth novel in Mercedes Lackey's magical Elemental Masters series reimagines Sherlock Holmes in a richly-detailed alternate 20th-century EnglandChristmas is a very special time of year. It is special for Psychic Nan Killian and Medium Sarah Lyon-White and their ward Suki, who are determined to celebrate it properly. It is special for their friends, Doctor John Watson, and his wife Mary, both Elemental Masters, who have found great delight in the season seeing it through young Suki's eyes. It is also special to others...for very different reasons. For Christmas Eve is also hallowed to dark forces, powers older than mankind, powers that come awake on this, the Longest Night. Powers best left alone. Powers that could shake the foundations of London and beyond.